The agency's US success is down to using 'different kinds of information', the head of its first offshoot tells Gideon Spanier. The arrival of Hearts & Science will be a jolt to the UK media agency scene as new entrants have become a rarity. The Omnicom shop only launched in the US in April but has won the country’s two biggest advertisers, Procter & Gamble and AT&T, with an innovative, data-driven approach. Expansion to the UK, Omnicom’s biggest market outside the US and worth 10% of global revenues, was expected. Rivals are desperate to know what Hearts & Science’s secret sauce is. Data has been key to Hearts & Science’s success. Scott Hagedorn, the agency’s global chief executive, previously ran Annalect, Omnicom’s data business, and led the P&G pitch. 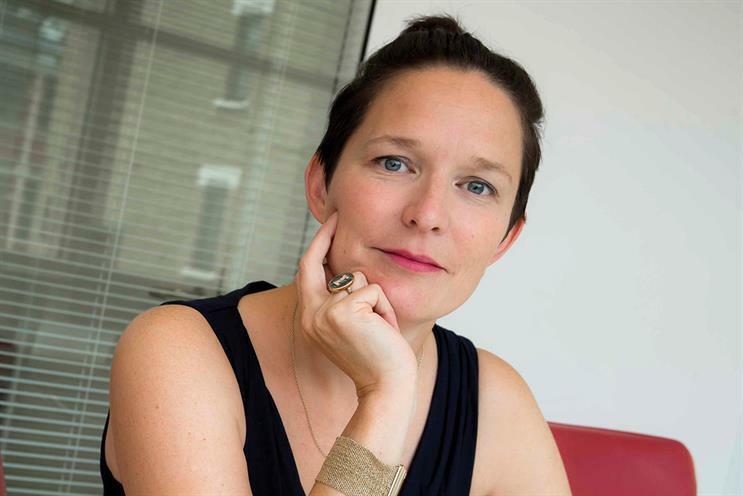 The appointment of Frances Ralston-Good, UK chief strategy and innovation officer at Omnicom Media Group, as UK chief executive of Hearts & Science is another clue that strategic thinking and planning are at the heart of the new agency’s approach. Media agencies have always used data but Hearts & Science uses "different kinds of information", Ralston-Good says, explaining how the shop is putting data from customer insight, behavioural insight, shopper marketing and customer relationship management at the centre of the media planning process. "That’s what makes Hearts & Science special." Ralston-Good, who has spent a lot of time getting to know Annalect and programmatic division Accuen in the past year, says: "The industry has had an imprecise way of understanding what consumers are doing. We need more precision." She continues: "Is there a secret sauce? Is there something distinctive and definable which isn’t a service promise? Yes. The whole era of promises with a nice service model around it is fading away. Clients want to look around the curtain, and that’s what we’ll do." Even the agency’s name is significant – "a reconciliation" between the emotional and the scientific. "One unified conversation," Ralston-Good says. "A joined-up story with more information [about what customers want] can help a brand grow." Omnicom has not lined up a client in the UK but Philippa Brown, UK chief executive of OMG, wants Ralston-Good to recruit a team and prepare for pitches. P&G is already speaking to agencies ahead of a possible UK review. Brown thinks Hearts & Science can "transform the market". Ralston-Good is more self-effacing, suggesting the shop will be "part of" a bigger transformation as Omnicom reinvents its media business for the data-driven age. But being a start-up means Hearts & Science comes without baggage. Ralston-Good is expected to recruit some staff externally in her search for new skills in data and CRM. Ralston-Good and Hagedorn both worked at sister shop PHD. She was a planner in the UK for a decade before taking a break in New Zealand to be a ski instructor. Ralston-Good then launched and ran Naked Communications in Melbourne for three years. She returned to the UK in 2011 as managing director at PHD. Daren Rubins, PHD’s UK chief executive, who brought Ralston-Good back, says: "She has a brilliant planning mind. She interrogates things and doesn’t let things go. She talks in language clients understand – it’s all about business return, not about media and communications." He credits her for helping PHD retain Sainsbury’s and win Virgin Atlantic in the past. Some observers remain to be convinced that Hearts & Science is truly radical. Brian Wieser, a Wall Street analyst at Pivotal, says: "Beyond their positioning and the people who work there, I’m not aware of meaningful differences. Genuine innovation in the media agency business is pretty rare." Ralston-Good knows the proof will be results. "I don’t want to over-promise," she says. "The age of over-promising is over."